For two years, skilled ICV volunteers worked to support the Board, help with decision making, and develop sound structures to address financial management. The result was positive cash flows in the community’s subsequent budgets, pulling Kurrawang out of financial difficulty and onto a better path. Next, Kurrawang asked ICV to find a volunteer who could help assess a proposal by energy companies wishing to access their land to develop solar power systems. ICV volunteer Robin is a member of the Alternative Technology Association (ATA), so he was best placed to help Kurrawang work through the proposal. But major changes to government policy on renewables and solar rebates at the same time made it unviable. Robin’s expertise, however, made it possible for Kurrawang to consider if its own community housing power needs might be better suited to a renewable energy system. 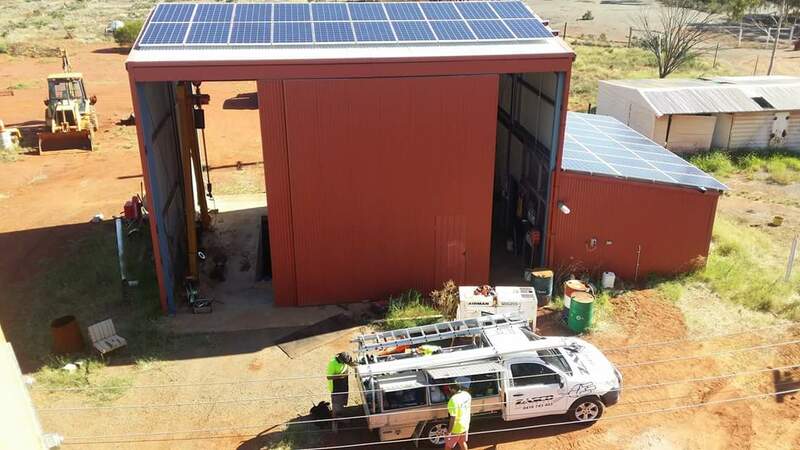 After successfully securing low interest loans with support from ATA and Robin, a 30kw system has just been installed, and the community is really pleased with the results. “The community got involved in helping to install the panels and it is empowering to know that we have been able to accomplish this ourselves,” said Kurrawang board member Rowena Leslie. “This provides electricity for the whole day and whatever we don’t use, there would be a small surplus fed back into the grid,” she added. The solar energy system will bring many benefits to the community in coming years. It is expected to cover more than 20% of Kurrawang's electricity consumption, and reduce carbon dioxide emissions by around 50 tonnes each year. Lower electricity bills for residents will be such that bill savings will outweigh loan repayments. Installing the system has also given community members knowledge and skills in renewable energy technology. Kurrawang is now working with another skilled ICV volunteer, Brian, to improve housing infrastructure in the community.